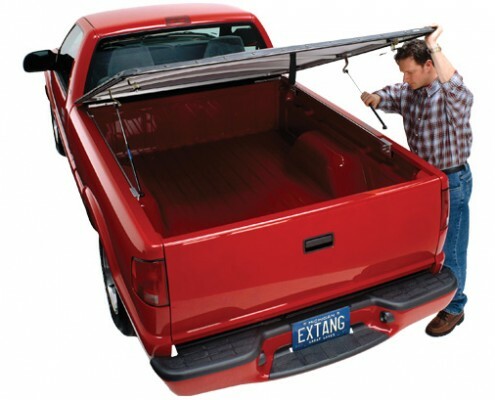 Hinging tonneau covers work similar to the trunk of a car. 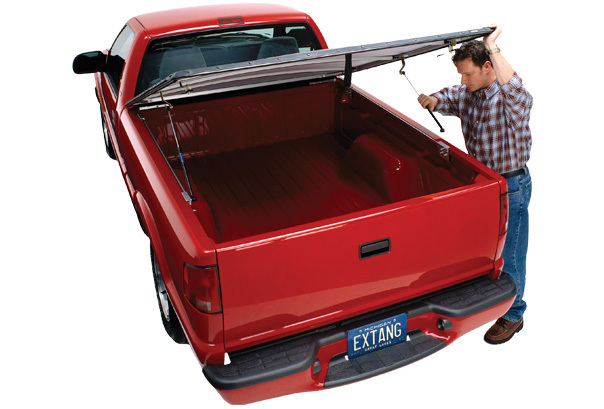 Shocks are built into the cover and raise the cover with easy. This cover is a easy one hand operated cover.